James Edward Hunt was born in Macon, Georgia on July 29, 1923. 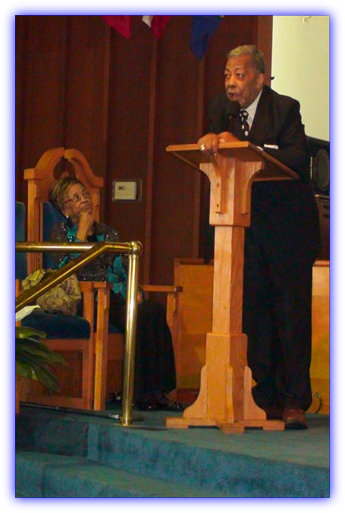 In April 1944 Dr. Hunt was “Born” again, baptized in the Holy Spirit and trained under the leadership of Pastor Willie Wilborn. He served in the church as a humble brother until the Pastor assigned him to the office of Deacon. In 1945 he became the husband of Leatrice Earnestine Ray. In 1955 Deacon Hunt received the call to the ministry at which time he attended the Albany Bible Institute until 1958. September 1960 through June 1968 Dr. Hunt attended the Manhattan Bible Institute for six years receiving his Master’s degree in Theology under the tutelage of Dr. E. Boice. In 1969 Dr. Hunt founded the Mid-Hudson Bible Institute.